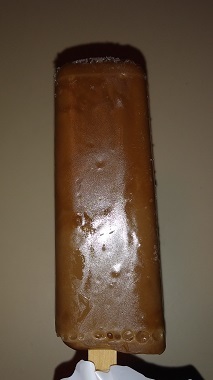 Eric's Gourmet Root Beer Blog – Page 2 – The blog of the gourmet root beer site. Ah Jelly Belly, the Original Gourmet Jelly Bean. At least that’s what they claim and it seems they’ve been around for over 100 years, so … maybe? Despite my absolute love of jelly beans, I’ve never done much research on them. And on that topic, I must say that jelly beans are my favorite candy type (if I had to pick), especially in Easter baskets. Jelly Belly has a host of various flavors and I’ve always been struck by how realistic their flavors taste, especially that juicy pear. But I’m not here to talk about pears, I’m here to talk root beer. They’ve licensed A&W, the most iconic brand, for their root beer flavor which has my hopes high. They have a very nice root beer flavor, though a little mintier than A&W, and also less vanilla. It’s more like a root beer barrel flavor made into a jelly bean. Somehow, it also seems like they are carbonated, which is ridiculous, because you can make a fizzy jelly bean, but it still feels like that in my mouth. 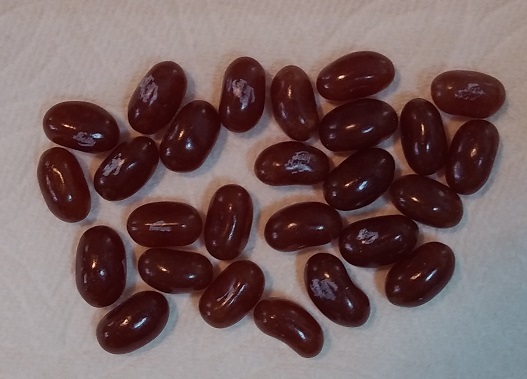 What dark magic have they employed to make a fizzy jelly bean? They never cease to amaze me. Now, I still hold that this doesn’t really taste much like A&W, yet, more than any candy I’ve ever had, it most closely resembles the root beer drinking experience, because of that arcane wizardry. So I heartily recommend these. Another break from hard candy! Yes there are all manner of root beer food confections and I just need to start searching for them in earnest. So I went to my local HyVee and started searching high and low for anything root beer. Sadly this was the only thing I could find, yet, it was something to find. Plus this is my first frozen treat. I’m not sure how I want to name this category as it isn’t ice cream, maybe I’ll just say Frozen Treats. That can be a thing right? Let me know in the comments if you have a better name for the category ice creams, popsicles and the like. Anyway, how are these things. They have a mild root beer flavor, of the minty variety, with a nice wintergreen and subtle notes of licorice. They aren’t overly sweet so they aren’t very sticky which makes them quite refreshing. The flavor is a little light, but the whole thing is still rather pleasurable. It’s cool and refreshing! Just the sort of frozen confection for a hot summer’s day. 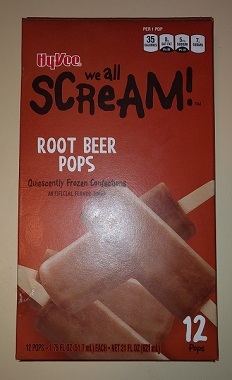 I wish the root beer flavor were a little stronger, but I think I’d buy them again. They are very reasonably priced and my kids really like them. My wife hated them though. I guess you can’t please everyone.